All prints are printed on Fujicolor Crystal Archive Professional Paper Super Type PD and a lustre coating is applied for extra protection. 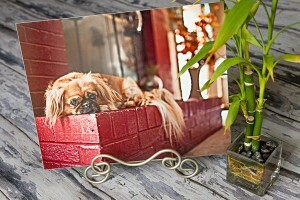 Wall prints (11 x14 and larger) are mounted on a 2mm styrene backing for durability. 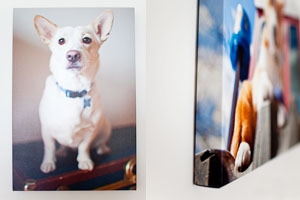 These gorgeous high quality canvas gallery wraps are the perfect way to showcase your pet. Photos are printed directly on fine art canvas and stretched across a 1.25” frame. Comes ready to hang with a sturdy, black backer board to prevent from deforming and loosening. These breath-taking albums are custom designed by Chase & Snap Pet Photography and are a great way to show off all of your favorite images from the session! The pages are thick, lay flat, and printed full spread, so there is no middle gutter. The newest addition to the Chase & Snap product line, this 4 x 4 inch cube is a unique piece of art containing 5 of your favorite images. These cute accordion-style 3”x3” square books are perfect to carry along where ever you go! 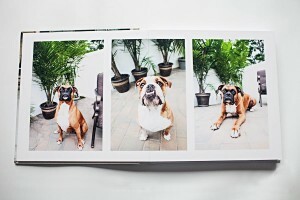 They contain up to 10 of your favorite images as well as a custom photo cover. Comes in a set of 3 identical books. Perfect to give to family or friends or just have extra copies to keep around. Personalize your greeting cards by using your own photo! Cards come in sets of 25 with white envelopes. Gift cards are now available in any amount. Email info@chaseandsnap.com for details! *Gift cards expire 1 year after purchase. Recipient must present gift card in order to receive services. Digital files are available for purchase once the minimum product purchase requirement of $350 is met. 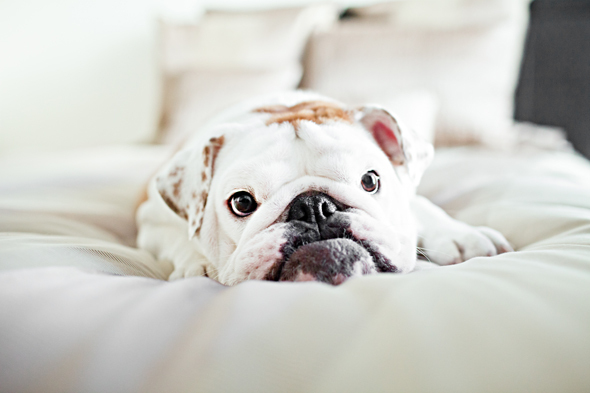 All content and images © 2010-2019 Chase & Snap Pet Photography | Creatively Candid Captures by Stephanie Romero | Professional Vermont Pet Photographer |ProPhoto Photography Website by NetRivet, Inc.